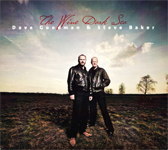 Brilliant CD by Dave & Steve! I’m playing on: Song for Garry & The Letter. A great Band that I will be on tour with thru autumn and 2013!